This website, van-de-steeg.com is operated by Van De Steeg & Associates, Inc.
You have the option of submitting personal information while visiting van-de-steeg.com. If you choose to provide it, Van De Steeg & Associates, Inc. collects this personal information. Personal information identifies or can be used to identify an individual. For example, it includes a name, home address, telephone number, and/or email address. If you request information about Van De Steeg & Associates, Inc. products or services through the online form or via an email sent to Van De Steeg & Associates, Inc. we will collect your name, contact information, and any other information you provided. 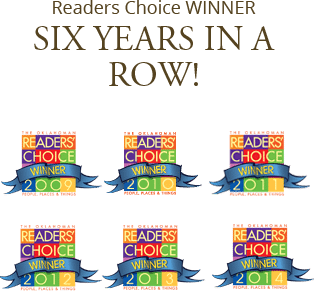 You can choose whether you want to receive regular Van De Steeg & Associates, Inc.-related updates and offers. 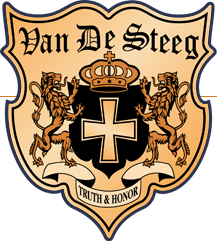 Like most websites, the van-de-steeg.com website gathers traffic patterns, site-usage, and other aggregated data. This data is used to evaluate visitor preferences and website effectiveness. This aggregate data does NOT individually identify you. Unless you have informed us you do not wish to receive updates related to van-de-steeg.com, we may also use your personal information to email or hard-copy mail such information. At any time, you can decide to decline further updates from us by sending an e-mail to dianna@van-de-steeg.com or info@van-de-steeg.com with “UNSUBSCRIBE” in the subject line or by clicking unsubscribe on the email directly. We do not sell or rent any of the personal information that you disclose to us to third parties. However, in certain instances, we may share your personal information with our affiliates, franchisees, agents, and lenders. You can opt-out at any time of direct marketing by emailing dianna@van-de-steeg.com or info@van-de-steeg.com. We do not share or authorize third parties who are not affiliated with van-de-steeg.com to make independent use of your information for their own purposes, such as for direct marketing. e may disclose information to law enforcement agencies or others if we are legally required to do so. In addition, certain statutory authorizations may allow us to disclose personal information in emergency situations. At your request, we will provide you with an opportunity to access and if necessary, correct the personal information that you submitted via the online form and that is stored in our database. To make a request, please e-mail us at dianna@van-de-steeg.com or info@van-de-steeg.com . We reserve the right to confirm the identity of the requester and limit the frequency of an individual’s requests. We have technology measures to protect any personal information you submit from misuse and loss, such as firewalls and password-protected areas using established industry standards. These measures are also designed to protect personal information from unauthorized access, modification, and disclosure. However, no data protection measures are entirely foolproof when data is transmitted and stored over the Internet. Any questions regarding this policy may be addressed to dianna@van-de-steeg.com or info@van-de-steeg.com.